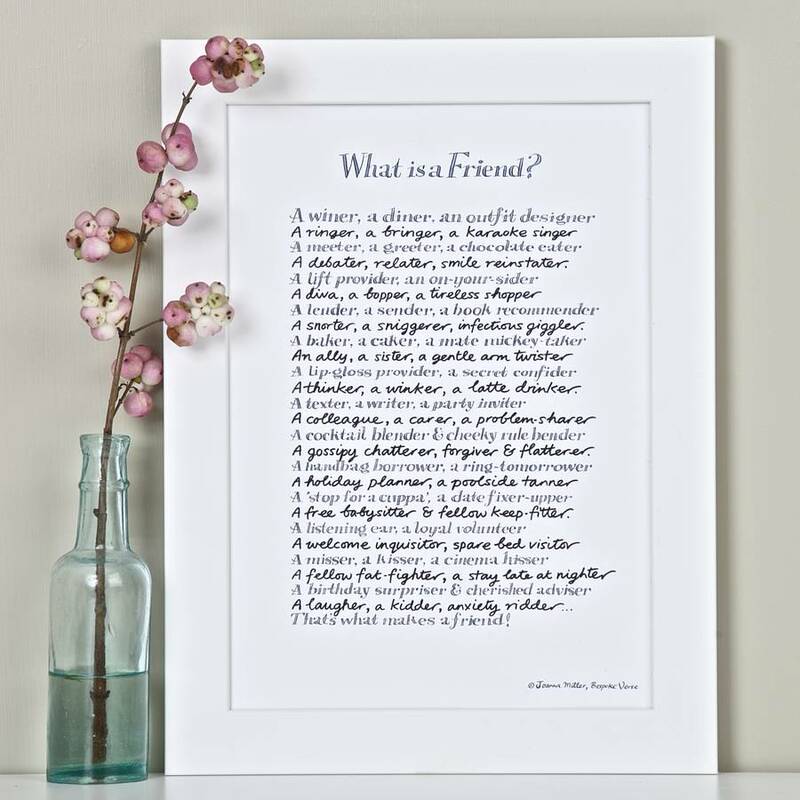 A witty and affectionate friend poem. All about friends - the fabulous female ones, that is! 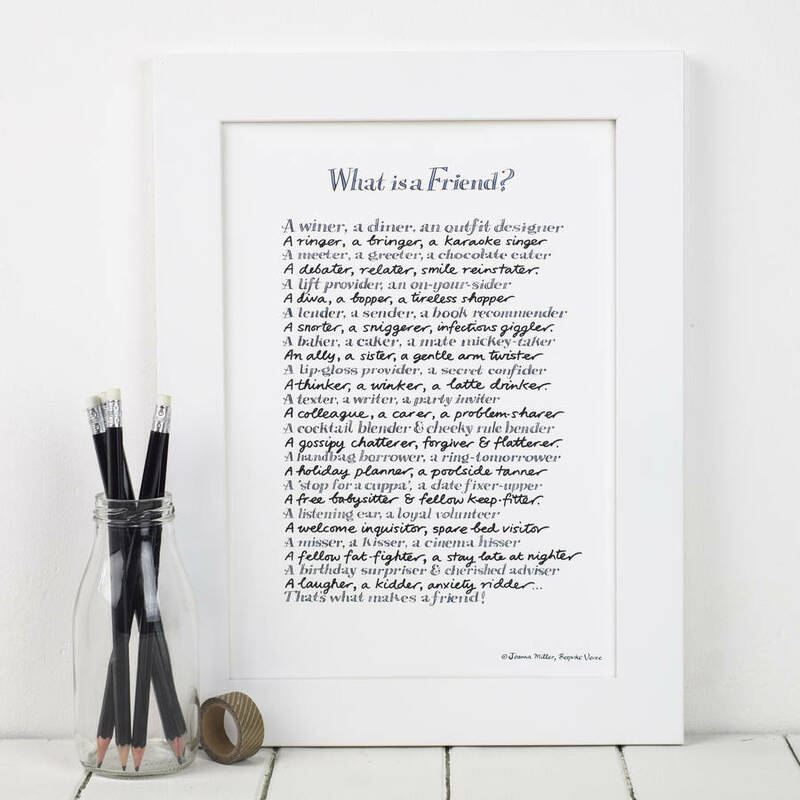 Our funny, heartfelt friend print makes the perfect gift for a best friend - whether it's her birthday, christmas, or a special occasion like being a bridesmaid. 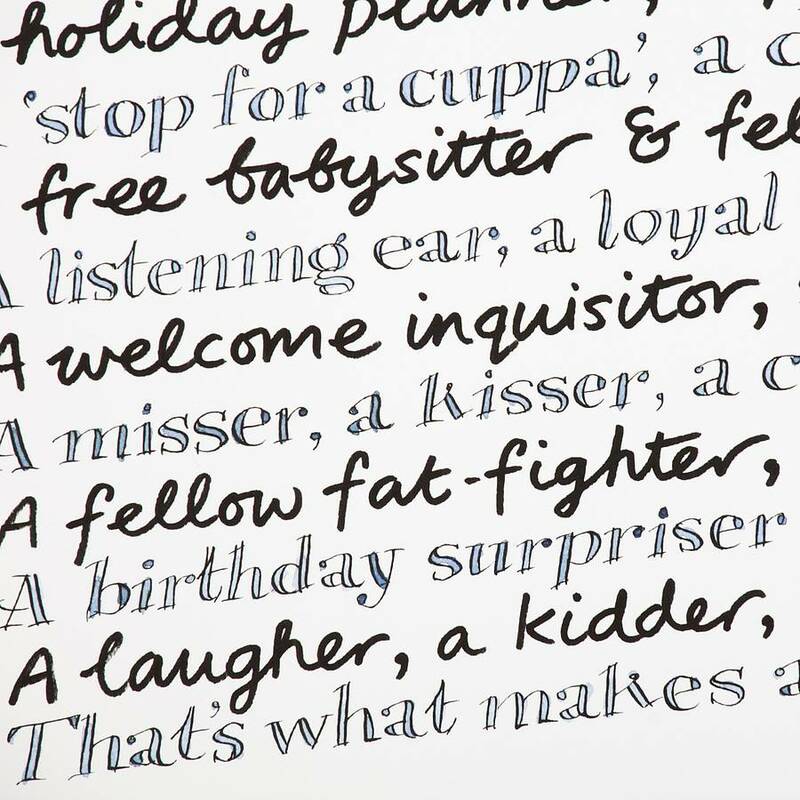 The poem was hand inked by artist Peter Gander (no computerised fonts here!) and the A4 print is a glicee (extremely high resolution) reproduction of the original. 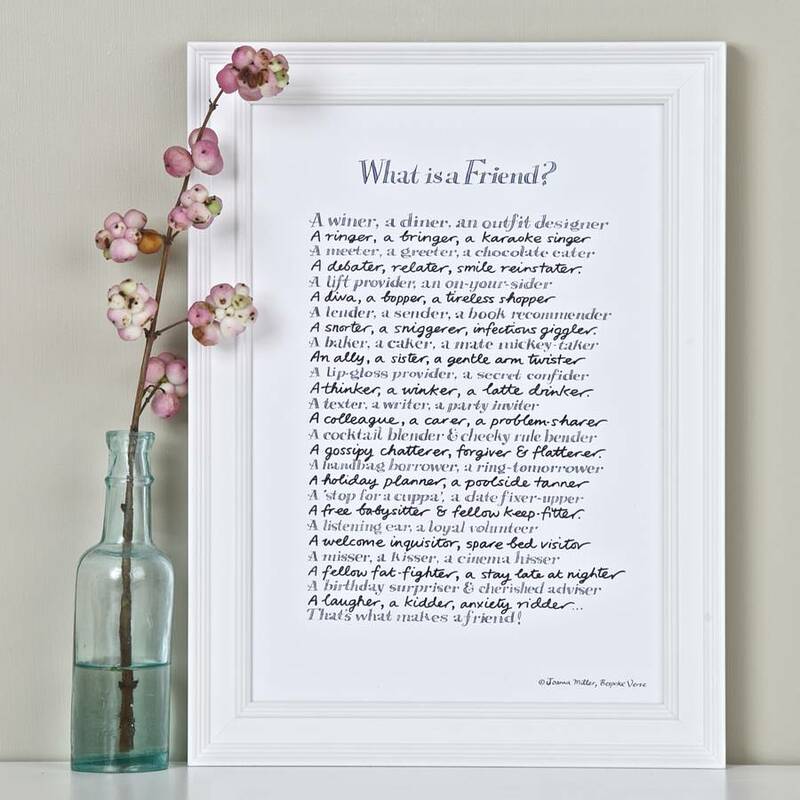 Written by Bespoke Verse poet Joanna Miller, this poem began as a gift for her sister. 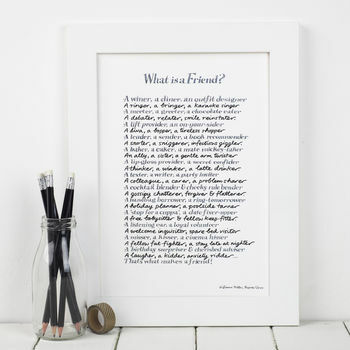 It led to Bespoke Verse's range of 'What is a...?' poems that have featured in magazines such as VOGUE and Easy Living. A debater, relater, a smile reinstater. A snorter, a sniggerer, infectious giggler. A thinker, a winker, a latte drinker. A gossipy chatterer, forgiver & flatterer. A free babysitter & fellow keep-fitter. Copyright Joanna Miller 2012. (Author's permission required to reproduce this poem). Each frame is hand-finished in the UK by Fine Art Trade Guild commended framers. 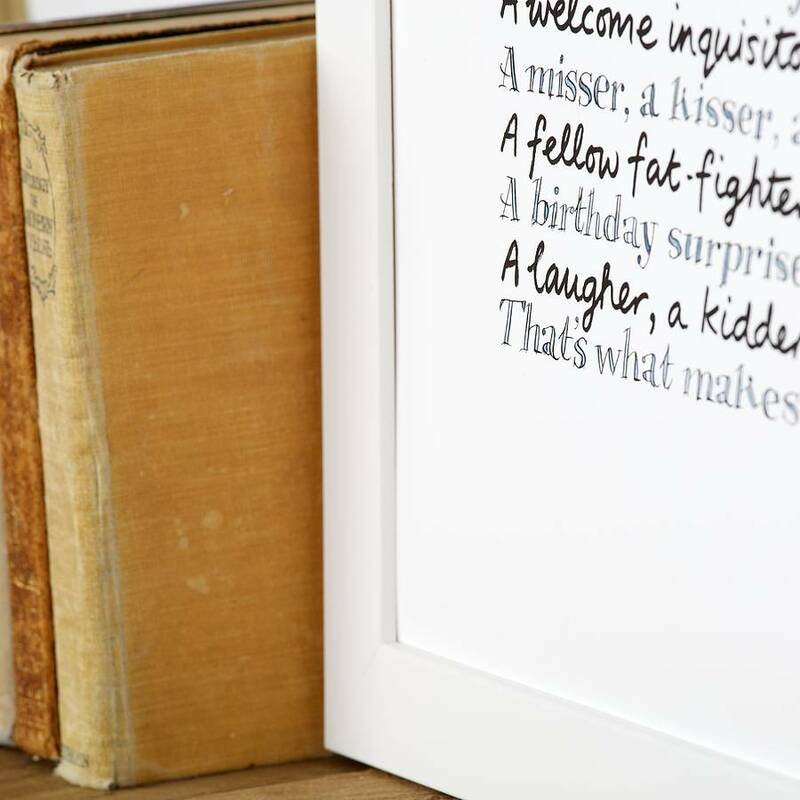 The framed product is dispatched in a purpose-made picture box. Unframed prints are sent out in super-stiff envelopes.